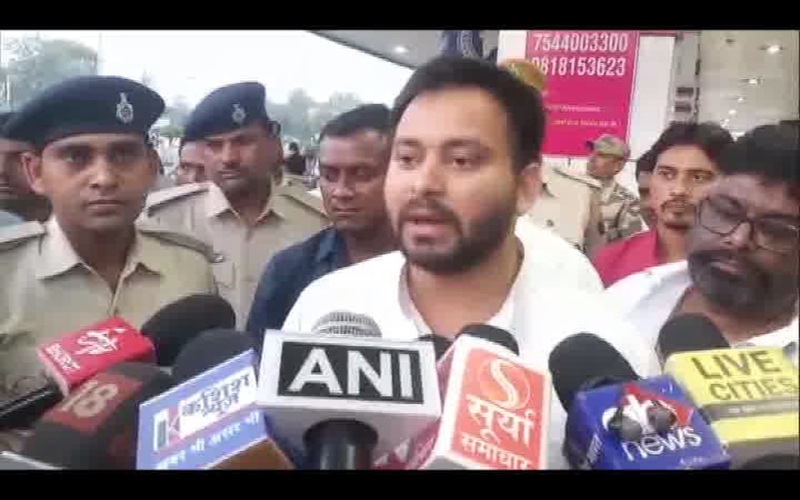 Patna (Bihar) [India], Apr 5 (ANI): RJD leader Tejashwi Yadav on Thursday criticised the Nitish Kumar-led Bihar government for not maintaining the law and order situation in the state and said that it looks like ‘Rakshas Raj’ has come to Bihar. His statement comes after Bihar Police arrested four men in connection with the abduction and murder of a class seven student here. The victim was the son of a former JDU leader Surendra Patel. “The former DGP of Bihar earlier said that the SP does not listen to him. The Bihar Home Ministry comes under the Chief Minister. It is his duty. They say that law and order situation is normal, but it does not look like this. It looks like ‘Rakshas raj’ has come. One engine of this government is in crime and the other in doing corruption. This is a painful incident. An investigation should be done on this,” Tejashwi told media here.